I think I speak for us all when I say: Oh. My. Lord. Like many of you, I love Vlad's snarky and cocky attitude and his soft side for those he loves. I am SUPER-DEE-DUPER excited to read his books and even more so now that the first one has a cover! 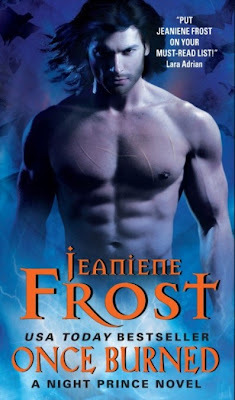 To see larger versions of both pictures and to see how Jeaniene Frost pictures these characters, check out her blog post here: Once Burned cover!